On May 27, during an NTRC community discussion. which was held at the Learning Resource Centre in Chester Cottage, persons highlighted a number of issues with the three telecommunications services providers in the country namely Digicel, LIME and Karib Cable. Speaking to the NTRCâs Universal Service Fund administrator Kyron Duncan and administrative officer at the NTRC, Andra Keizer, persons spoke about issues, including the rise in cost of telephone calls overseas, the intermittent cable service in their area and the lack of telephone service during certain weather conditions. 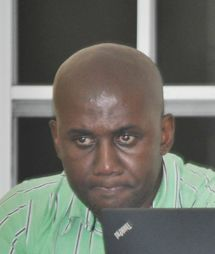 After listening to the complaints, Keizer (the NTRCâs administrative officer) encouraged persons to use the NTRC to settle disputes that they may have with the local providers, if they are not having their problems addressed. Keizer stressed that persons do not realize that the NTRC can help them when they have certain types of problems, but that is so, as the NTRC came into effect by the passing of the Telecommunications Act 2001 while the St Vincent and the Grenadines Telecommunications (Dispute Resolutions) Regulations 2007 ensures that the NTRC can and will do everything in its power to help consumers when they have a dispute. Duncan (USF administrator), also spoke about the USF. He explained that this is money (one per cent of the gross revenue of the telecommunications providers) given to the NTRC. The USF was launched locally on Tuesday, May 5, 2009, at the conference room of the NIS by the NTRC. Duncan said that the USF is used to compensate any telecommunications provider who is required to provide or promote Universal Service, which includes âthe provision of, public voice telephony, Internet access, telecommunication services to schools, hospitals and similar institutions and other services by which people access efficient, affordable and modern telecommunicationsâ. The NTRC also is also funded by license and radio frequency fees collected from the various radio stations and maritime mobile radios. At the end of the discussion, persons said that they had learnt a lot, while some said that they will be filling complaints.